Enjoy the best cosplay we saw during our first day at PAX East 2014! If you're in Boston right now, then no doubt you're recovering from a busy day, because PAX East 2014 officially kicked off this morning. That means plenty of games, sore feet, too many snacks, and most importantly, some of the coolest cosplayers in the world. And the crack Escapist team is on hand to capture it all. If you were wondering whether or not this year's event might slip, fear not. People were decked out like crazy, dressed in everything from League of Legends gear to Wreck-It-Ralph. And don't worry: we grabbed snapshots and we've brought them back to you to prove it. 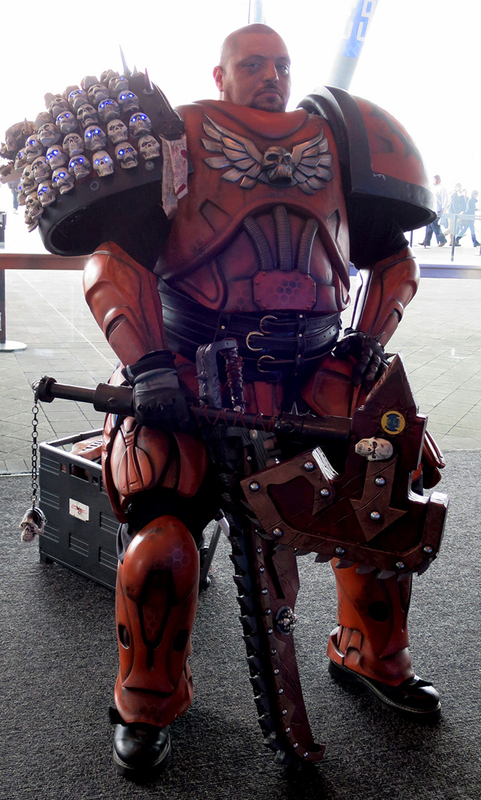 Here are some of the best costumes we saw on Friday at PAX East. And don't be shy: let us know in comments and on the forums which ones you like best. First up, enjoy this hulking specimen of Warhammer, appropriately menacing and, thankfully, not erased from existence along with THQ.